Tara Fela-Durotoye is a make-up artist, lawyer and beauty entrepreneur. This mother of 2 is the founder and CEO of House of Tara International, which started as a make-up line when she was still a law student at the Lagos State University. She is a two-time winner of The Future Awards Africa, having clinched the prizes for Entrepreneur of the Year and Young Person of the Year at the 2006 and 2007 editions of the event, respectively. Oshinowo is the Care Manager at Nokia West Africa. His goal is to make the Nokia brand a name which cannot be ignored in the mobile telephony business in the country. Oshinowo, an alumni of the SMC University, Switzerland and the New York University believes strongly in the resourcefulness of Nigerian and their potential to drive Nokia’s growth in Africa. Funke Bucknor- Obruthe ventured into events planning in 2003 and has since gone on to become the go-to events planner in Nigeria. CEO of Zapphaire Events, an events management and consulting company based in Lagos, Funke won the award for Entrepreneur of the Year at The Future Awards Africa in 2006.
founder of OUCH, a leading Nigerian fashion outfit. Nnaji, who recently got married, resides in Lagos. Jason Njoku is an entrepreneur and CEO/Founder of iROKO Partners, parent company of popular Nollywood movie streaming site, iROKO TV. Jason also heads SPARK, a company focused on providing funding to Nigerian Internet start-ups. He won the prize for Entrepreneur of the Year at the edition of The Future Awards Africa. Ola Orekurin became a doctor at the age of 21, becoming one of the youngest medical doctors in England at the time. Ola gave up dreams of becoming the president of the British Medical Association and minister for the conservative party and moved to Nigeria to found Flying Doctors, thecountry’s first air ambulance service. 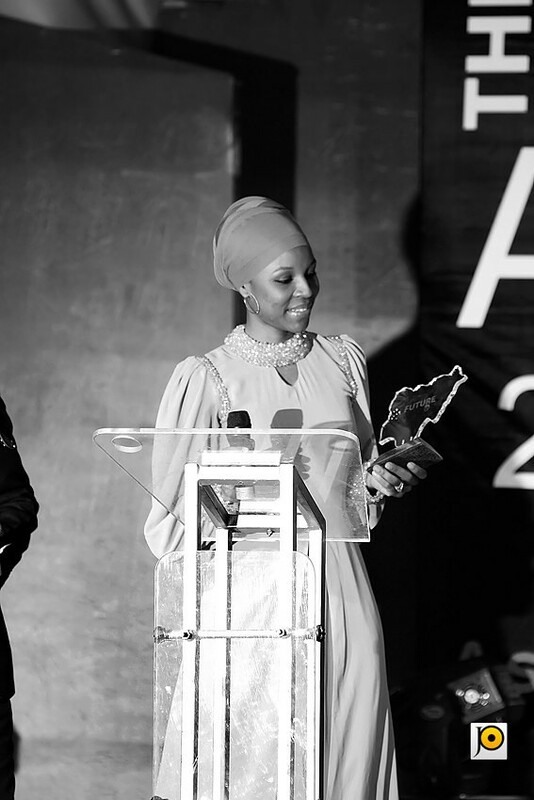 She won the Entrepreneur of the Year Prize at the 2012 edition of The Future Awards Africa. Wale Adetula is the founder of The Naked Convos, a youth website focused on creating an interactive community where young Nigerians converge and engage in open and honest conversations about music, movies, relationship, sports, news, entertainment. This former Brand Manager at Guaranty Trust Bank, who describes himself as an “unrepentant media addict,” is nominated for the Young Media Entrepreneur of the Year Award, presented in conjunction with the British Council at the 2013 edition of The Future Awards Africa. Titus and Tobias Igwe are twin brothers who jointly founded ‘Speed Meals,’ a food delivery and catering services company in Nigeria. They launches the thriving business after the sad loss of their father in a road accident in 2009. Both of them have been able to grow and expand the business against all odds. entertainment, lifestyle and fashion in Africa. Uche is also CEO/MD of Bainstone Limited, a new media company. She won the 2010 Best Use of Technology award at The Future Awards Africa, and is nominated for the British Council Young Media Entrepreneur prize at the 2013 edition of The Future Awards Africa. Karo Agono is a reputable sound engineer and CEO of Tremor Perfect, an audio-video rental business which he started with only 30,000 naira. He was nominated for the Business Owner of the Year prize at the 2011 edition of The Future Awards Africa. prominence in 2003 during the qualifiers for the 2003 All-Africa Games, where he eventually won a bronze medal in the Heavyweight Male category. He won a gold medal at the 2007 All-Africa Games in the +80kg class and qualified for the 2008 Olympic Games soon after, where he won a bronze medal. He also competed at the 2012 Summer Olympics, and was nominated for the Sportsman of the Year prize at the edition of The Future Awards Africa. Bukola Adubi is the CEO of the MicCom Golf Resort. The resort came to life during her National Service year, right after her university education when her parents needed someone to run the golf course they built. She participated in The Future Enterprise Scheme Series in 2009, where young people received intensive trainings on creativity and entrepreneurship. In 2008 she won the Entrepreneur of the Year prize at The Future Awards Africa. Ndidi Nwuneli is the founder of LEAP Africa- a leading nonprofit which provides leadership training and executive coaching services to social entrepreneurs, youth and small scale business owners. She is also a co-founder of AACE Foods, a Nigerian food processor. Ndidi is one of the world’s leading authorities on social entrepreneurship and in 2004, was bestowed with the national honor, Member of the Federal Republic (MFR) by the Nigerian President at the time, Olusegun Obasanjo. She is a member of the Independent Audit Committee of The Future Awards Africa. by the University of Birmingham. He also won a CNN/Multichoice African Journalist award in 2009, and the Journalist of the Year prize at the 2011 edition of The Future Awards Africa. Toyosi Ogunseye is the editor of The Sunday Punch in Nigeria, a newspaper she joined in 2009 after previously working at News Star Newspaper and the Sun, where she started her journalism career in 2004. as a senior correspondent. In 2012 Ogunseye received a Role Model Award from the department of biochemistry at the University of Lagos and a Distinguished Role Model Award from the university’s department of mathematics. She won a CNN/Multichoice African Journalist Award in 2011 and is nominated for The 2013 Future Awards Prize in Journalism. Alkassim Adbulkadir is a writer and photographer. He is a graduate of Estate Management, from the Federal University of Technology, Minna. In 2004, he was a fellow and writer-in-residence at the Foundacion Valparaiso in Spain. He has worked as Programmes Manager at Zuma FM Radio, as Media Assistant to Senator Zaynab Kure and also as Producer at BBC-WST producing the radio drama Story-Story, Nebo my Nebo and Yaya Take Ne. He works as a foreign correspondent for CCTV Africa and was awarded the Journalism prize at the 2012 edition of The Future Awards Africa. Abdulkareem Baba Aminu is a journalist, cartoonist, comic book artist and retailer, painter, writer, poet and culture critic. In 2005, Baba Aminu published a travelogue called ‘Escape From Togo,’ about his attempts to flee the country, where he had been a part of a Federal Government Monitoring Team, during the country’s controversial 2005 elections which turned violent. He won the Future Awards Africa Journalist of the Year prize in 2007. Idris Akinbajo is an investigative reporter who has worked with various Nigerian publications including NEXT – set up in 2008 by the Pulitzer winning journalist, Dele Olojede. He was awarded a grant from the Investigative Journalism Network IJNET in Washington DC, based on investigations he conducted between 2008 and late 2011 concerning wages of Nigerian lawmakers and corrupt practices surrounding the Millennium Development Goals programme of the Nigerian government. Akinbajo, who currently works with Premium Times Newspapers, won the Young Person of the Year prize at the 2012 edition of The Future Awards Africa. Toyosi Akerele is a youth and education advocate. She is the founder and executive director of RISE Networks, a leading social enterprise in Nigeria. She is responsible for The RISE National Youth Forum, a flagship project of RISE NETWORKS which has attracted hundreds of thousands of young people across Nigeria. She is an alumnus of the United States Government’s Prestigious International Visitor Leadership Program for emerging Leaders and a recipient of Europe’s 2012 Crans Montana Forum New Leader of Tomorrow award. She is a two-time winner of The Future Awards Africa, having won theaward for Best Use of Advocacy prize in 2009 and the Young Person of the Year prize in 2011. She was also nominated for the Business Owner of the Year prize in 2012.
psychological, medical, and emotional needs of street kids and vulnerable children. The organization rose to prominence for its work with a community called ‘Dustbin Estate,’ an area of refuse in Lagos state whose inhabitants live in homes built with planks on refuse dumps. Tolu won the Best use of Advocacy prize at the 2010 edition of The Future Awards Africa. Otto Orondaam is the brains behind Slum2School, a project he started in 2012 to help disadvantaged kids from slums get access to basic education. It is a volunteer organization that is dedicated to solving the problem of quality education and access to schools for less privileged children in the slums across Nigeria and beyond. He won the prize for Innovation in Education at The Future Awards Africa in 2012. Japheth Omojuwa is a Nigerian blogger, media entrepreneur and activist. He is the Editor of AfricanLiberty.org for Atlas Economic Research Institute United States and also founder and curator of www.omojuwa.com, one of the most popular web pages in Nigeria. Japheth is a member of the World Economic Forum’s Global Shapers and well published in local and international media. Modupe Adefeso-Olateju is Managing Director of The Education Partnership Centre (TEP Centre) Lagos. She is an Education Policy Consultant with expertise in public and private school effectiveness, and the design of Public-Private Partnerships in Education. She holds a PhD in Education and International Development from the Institute of Education, University of London. Modupe sits on the board of the Commonwealth Youth Exchange Council London, and is passionate about helping young people fulfill their academic and career potential. She won the Professional of the Year prize at the 2007 edition of The Future Awards Africa. fast-growing Streams of Joy Ministries. He is also a conference speaker and leadership coach. He hosts “You are the best – half hour” and “Blind Facts,” two radio programs which reach out to a large audience all around the world. He is also the author and publisher of the Streams of Joy Daily Devotional. He was nominated for the Excellence in Public Service award at the 2010 edition of The Future Awards Africa. nominated for the Young Person of the Year prize at the 2012 edition of The Future Awards Africa. Ngozi is a Senior Brand Manager at Nigerian Breweries Plc where she manages the Maltina Brand. She has successfully executed the 5th Season of the Maltina Dance All competition, the successful relaunch of the Maltina brand and the execution of the Maltina Sharing Happiness promo. In 2011, Ngozi was runner up in the Heineken Global Brand Building Awards under brand activation. She won the Excellence in Service (Corporate) prize at the 2012 edition of The Future Awards Africa. Vincent Enyeama is a Nigerian football goalkeeper. He was selected for the 2002 World Cup as a cover for Ike Shorunmu, where he only played one match. He, soon after, took over the spot as Shorunmu retired. Since then he has been the first-choice goalkeeper for the national team, playing in all African Cup of Nations till date. He currently plays for Lille OSC, where he signed in June 2011. He won the 2011 prize for Sportsperson of the Year at The Future Awards Africa. Seun Osewa is the founder of Nairaland, Africa’s largest online forum. The site, which he founded in March 2005 as a general purpose discussion, now has close to 1 million registered users and is the most popular Nigerian website today. Osewa is finally setting up an office space in Ota, Ogun State after managing the largest online forum in Africa for eight years with over one million registered users, and with zero external funding. YOUWin business plan competition. He was a nominee for the Future Awards Entrepreneur of the Year and Young Person of The Year prizes in 2007. Tomiwa Adesida is the Manager – PR & Corporate Communications at Sahara Group. He was nominated for the excellence in Service (Corporate) prize at the 2012 Edition of The future Awards Africa. city in the world. She was nominated in 2006 for the Entrepreneur of the year Prize at The Future Awards Africa. Zubair Abubakar is a web and mobile application developer. He holds the record of developing the most successful app created in Nigeria, with his Nigerian Constitution Blackberry App recording over 10,000 downloads within 72 hours of its release. He holds a Bachelor’s Degree in Computer Science from Ashesi University Ghana, and is also a TED Global 2007 Fellow. He was a 2011 Nigerian Youths Merits award nominee, and was also nominated for the Innovator of the Year (Science and Technology) prize at the 2012 edition of The Future Awards Africa. Aisha Augie-Kuta is a photographer based in the capital of Nigeria, Abuja. She got her start in photography at the wee age of seven when she received a film camera as a present from her father. She went on to study Mass Communication in university, taking courses in photo-journalism and Dark-Room techniques along the way. She also studied Media and Communication at the Pan African University in Lagos. Augie-Kuta also has a degree in Digital Filmmaking from the New York Film Academy. She won the Creative Artist of the Year category of the 2010 edition of The Future Awards Africa. Entrepreneurship award at the 2006 edition of The Future Awards Africa. He is the boss of DM2 group. He is a business mogul and his company has created some of Nigeria’s best brand campaigns in Nigeria. In 2012, he was among the Future Awards winners. the Sithengi Talent Campus as part of the Cape Town World Cinema Festival in South Africa. In 2010 he founded Cinema Kpatakpata, a production company aimed at “producing feature film, documentary and television both in Nigeria and throughout Africa,” with Yinka Edward and Tom Rowlands-Rees. The company’s first feature film “Confusion Na Wa,” was nominated for 4 awards at the 2013 edition of the Africa Movie Academy Awards – Best Film, Best Nigerian Film, Best Director, and Best Supporting Actor, clinching the top prizes, Best Film and Best Nigerian Film. Omawumi Megbele is a Nigerian singer. In 2007, she auditioned for Idols West Africa and 6 months later emerged the 1st Runner-Up, Idols West Africa. She has released two albums, both hugely successful, and has won numerous awards including Best Female Vocal Performance and Next Rated Artist at the 2009 Hip Hop World Awards. She is nominated for the 2013 prize in Entertainment Talent at The Future Awards Africa. Writers’ Prize for Best First Book (2005). Her second novel, Half of a Yellow Sun, was released in 2006, and won the 2007 Orange Prize for Fiction. Her latest novel, Americanah, was released in 2013. She won the Young Person of the Year prize at the 2008 edition of The Future Awards Africa. Kemi Adetiba is a Nigerian filmmaker and media personality. She got her break in the entertainment industry hosting a radio show before moving on to television where her credits include Temptation Nigeria, The Maltina Dance-All Show and a host of other creative projects. Ali Nuhu is a Nigerian movie actor who has had extensive experience in the Hausa Movie Industry. He ventured into Nollywood with the Amstel Malta sponsored movie SITANDA which became a huge success and earned him Africa’s most prestigious award, ‘The African Movie Academy Award’ (AMAA). Presently he is one of the most sought after Actors in Nollywood with about 30 unreleased movies to his credit. He is fluent in English, Hausa and Hindi. Matse Uwatse is a Nigerian radio presenter. She hosts the midday show, “Coolele Zone,” on 95.1 Wazobia FM, and has won a host of awards including, the Club Unique awards in 2008, the Women in Media and Entertainment Awards in 2009, and the African Voices Awards in Nairobi, Kenya, in 2009. She was the winner in the On-Air personality of the year (Radio) category at the 2011 edition of The Future Awards Africa, a second win for her, after previously clinching the prize in 2010. Ebuka Obi-Uchendu is a Nigerian television personality. He became popular for his participation in the Big Brother Nigeria reality show in 2006, prior to which he had been practicing as a lawyer, having been called to the Nigerian Bar the year before. He currently hosts Rubbin’ Minds, Nigeria’s foremost talk show, on Channels TV. Latasha Ngwube is a Nigerian fashion professional. She was the editor of top fashion and style magazine, ThisDay Style, before moving on to Vanguard Allure, where she works as a contributing editor. Genevieve Nnaji is a Nigerian actress. She started her career as a child actress in a popular television soap opera when she was 8, and went on tostar in many movies, winning several awards along the way, including the African Movie Academy Award for Best Actress in a Leading Role, in 2008. She was nominated for the Young Person of the Year prize at The Future Awards Africa in 2010. MI Abaga is a Jos born rapper. He left the country to hone his rap talent but later returned in 2003 to begin his music career, quickly becoming one of the biggest names in the industry. He has won several awards including the MTV Africa Music Awards 2009 and was nominated for BET 2010 Awards for the Best International Act Category. He rose to prominence in 2006, with his hit single, ‘Crowd Mentality’. MI is signed to Chocolate Music Label. Ikponmwosa Osakioduwa is a Nigerian media personality, known for his work on both radio and television. He hosts Big Brother Africa, and has previously worked on such shows as Temptation Nigeria, Studio 53 and The Morning Drive. TY Bello is a Nigerian photographer and musician. She was part of a popular girl group known as KUSH, and belongs to Depth of Field, a collective of six Nigerian photographers, who aim at a complex portrait of Lagos state and its multitude of dimensions. TY Bello was among the official photographers for the pre-inauguration thanksgiving service and the actual swearing in of the Nigerian President Goodluck Jonathan on May 29, 2011. D’Banj is a Nigerian musician. He has won several music awards including the awards for Best African Act at the MTV Europe Music Awards, 2007, Artist of the Year at the MTV Africa Music Awards 2009, and Best International Act; Africa at the 2011 edition of the BET Awards. He is known internationally for his 2012 summer hit “Oliver Twist”, which topped charts all over Africa in 2011 and was a top 10 hit in the UK singles chart in 2012 reaching #2 on the UK R&B chart. Stephanie Okereke-Linus is an actress. She has received several awards and nominations for her works including the 2003 Reel Award for Best Actress, the 2006 Afro Hollywood Award for Best Actress, and three nominations for Best Actress in a Leading Role at the African Movie Academy Awards in 2005, 2009 and 2010. She was also the runner up for the Most Beautiful Girl in Nigeria beauty pageant of 2002. Omotola Jalade-Ekeinde, is a Nigerian actress. Since her Nollywood film debut in 1995, she has appeared in over 300 movies and received several awards including the Screen Nation ‘Best Actress’ as The African Magic. She is the first African celebrity to receive over 1 million likes on her Facebook page. She was recently honored on the 2013 Time 100 list. In early 2013, Omotola made her U.S. television debut in VH1’s scripted series, Hit the Floor. Cobhams Asuquo is a Nigerian musician. He started his professional training as a lawyer, but later branched into music full-time to fulfill a lifelong desire. He is currently signed onto Sony ATV (Sony Publishing) London as a songwriter and has won awards in music as well as his other fields of interest. He works mostly as a songwriter and producer, and has been involved in the creation of work with numerous artists, including Asa. He is CEO/ Head of Productions of CAMP (Cobhams Asuquo Music Productions), an all-encompassing entertainment company that discovers, nurtures and exposes great talents. Funke Akindele is a Nollywood actress, and producer. She has won numerous awards including the African Movie Academy Award for Best Actress in a Leading role in 2009. She worked extensively in television before switching to cinema, becoming known for her starring role in the family-oriented Nigerian television show I Need to Know. Linda Ikeji is a blogger and media entrepreneur. She runs the ‘Linda Ikeji blog,’ Nigeria’s number one gossip website. She has successfully transitioned from a model to a blogger attracting a multitude of loyal readers daily to her blog. in 2010 she won the award for Actor of the Year at The Future Awards Africa. Denrele Edun is a Nigerian entertainment personality who has worked in various aspects of the industry. He started his career when he was just 11 when he presented a show called Kiddie Vision 101. Denrele has won several awards including the 2007 prize Producer of the Year at The Future Awards Africa. Michael Collins Ajereh, popularly known as Don Jazzy is a Nigerian music producer and artist. He is widely known for his musical relationship with D’Banj, with whom he created several hit songs. He currently heads a music label called Mavin Records. Uche Jombo is a Nigerian actress and film producer. She also works as a screenwriter, and has starred in over 20 movies. She is currently an ambassador for telecommunications giant, Globacom. OC Ukeje is a Nigerian actor who is nominated in the Entertainment Talent category at the 2013 edition of The Future Awards Africa. He has won several awards including the Africa Magic Viewers Choice Award in 2013 for Best Actor and the African Movie Academy Award for Best Upcoming Actor in 2008. Psquare are a Nigerian music duo composed of identical twin brothers Peter and Paul Okoye. They signed to Akon’s Konvict Music label in 2011 and in May 2012 signed a record distribution deal with Universal Music South Africa. They are nominated for the Young Person of the Year prize at the 2013 edition of The Future Awards Africa. Tolu Oniru, popularly known as Toolz, is a Nigerian media personality.She holds a degree in Business and Mass Communication from the London Metropolitan University and is a host on Beat 99.9 FM. She has also hosted the X-Factor Nigeria. Nnaemeka Ikegwuonu, a leading social entrepreneur, is Executive Director of The Smallholders Foundation, a social development organisation he founded in 2003, when he was 21. Through Smallholder Farmers Rural Radio, he develops and broadcasts daily agricultural, environmental management and market information radio programmes in the local Igbo language. He has participated in numerous international forums, is a member of many professional organisations and has won a number of awards for his work, including the YouthActionNet/Starbucks Shared Planet Youth Award 2009 and the Rolex Award for Enterprise–Young Laureates Program 2010. He emerged The Future Awards Africa Young Person of the Year in 2011.
environment. He has been placed in various youth leadership roles which saw him emerge in 2010 as the president elect of the re-known Republic of DESPLAY Africa. He was among the 5 nominated young Nigeria democracy Ambassadors on a 2 weeks learning visit to the Republic of Cameroon in comparison of democracy in Africa. He is a distinguished member of the Nigerian Institute of Management (Chartered,) and was a finalist of the LEAP Africa National Youth Leadership Award in 2010. He was also nominated as a Young Global Change maker and won the Best Use of Advocacy prize at the 2012 edition of The Future Awards Africa. Seun Onigbide is a Social Entrepreneur and founder of BudgIT, Nigeria No 1 Budget Analysis platform. University. She also got an MSc in Applied Biomolecular Technology from Nottingham University and went on to receive a scholarship from the Prince’s Trust. She went on to pursue a PhD at Oxford University on a fully funded scholarship from the Wellcome Trust, the Tropical Network Fund and the Bill and Melinda Gates Foundation. Passionate about finding a cure to Malaria, this has been her main area of research, her goal is to discover a vaccine to the biggest killer disease in sub-Saharan Africa. She won both the Young Person of the Year and the Scientist of the Year awards at the 2010 edition of The Future Awards Africa. Development Goals (MDGs), Her official brief is to assist the government in a national effort to improve local government planning, project management, and monitoring capacity to catalyze new projects. Through her efforts, she has help set up key structures so that the 113 LGAs participating in the MDGs Conditioned Grant Scheme (CGS) can access their grants. As technical assistant domiciled in Kaiama LGA of Kwara State, she helped catalyse new processes, working practices and prioritise development needs. Nmachi Jidenma is the former Africa Editor for the Next Web. She works at Google as an Outreach Manager for Google+ and is Founder of CP-Africa, an African trends website that analyzes trends in African technology, business and culture. Akin Rotimi is the Principal Private Secretary to the Governor of Ekiti State, Nigeria. Before this he worked as Senior Special Assistant and the Head Corporate Communications Unit in the Ekiti State Government. He has also worked as a Brand Manager, in the Corporate Communications Unit at BGL Plc. Ohimai Godwin Amaize is a Special Assistant to Bolaji Abdulahi, the Nigerian Minister of Sports. In 2010, Ohimai became the youngest presidential campaign manager in modern democratic history. He is also an ambassador for Microsoft Internet Safety, Security and Privacy Initiative for Nigeria (MISSPIN). In November 2012, Ohimai was appointed Board member, Nigeria Academicals Sports Committee (NASCOM), the body charged by the Federal Government of Nigeria through the National Sports Commission (NSC) to enhance talent identification and sports development at the grassroots, especially in Secondary Schools. Tochukwu Ikpegbu is a Nigerian agri-business entrepreneur from Umuahia, Abia State. He was awarded a Harambe agri-business award in the first competition, after coming first for his focus area of expanding a piggery farm owned by Emmanuel Farms. He won the Entrepreneur of the Year prize at the 2012 edition of The Future Awards Africa. Ojoma Ochai is Assistant Country Director, British Council Nigeria. She is also a member of the organisation’s Regional Leadership Team in sub-Saharan Africa. As head of British Council’s Arts and Creative Industries programme in Nigeria, she has developed various policy advocacy, capacity development and showcase initiatives for Nigeria’s creative and cultural industries. She was nominated Young Person of the Year prize at the 2011 edition of The Future Awards Africa. Debola Lewis is the Creative Director and CEO of Yvent Kouture. He holds a Bachelor’s Degree in Geography from the University of Ibadan. Before leaving to start his own company, he worked at Zapphire Events’ for two years. He won the Business Owner of the Year award at the 2010 edition of The Future Awards Africa. Dare Art Alade – popularly known as Darey – is a Nigerian musician. He is the son of the renowned Nigerian entertainer, Art Alade. He rose to prominence following his participation in the Project Fame reality show in 2004, from which he emerged 3rd. He has released 3 successful albums since then. parents and was two years old when her family returned to live in Nigeria. In 2004 Aṣa met her manager and friend, Janet, who introduced her to Cobhams Emmanuel Asuquo, who in turn became her musical partner and producer. Their partnership resulted in the conception of Asa’s self-titled debut album,which went on to win the prestigious French Constantin Award in 2008, where she was voted best fresh talent of 10 singers or groups by a jury of 19 music-industry specialists in Paris. She released her second album, Beautiful Imperfection, on 25 October 2010. Olamide Adedeji is the Supervising & Group Channels Producer / Project Manager at Consolidated Media Associates Ltd, and is responsible for the General Channel Management of ONTV, Soundcity, Spice TV, VillageSquare and Televista. Emmanuel Etim is the Programme Manager, AUYVC-PMU/Partnerships and Ext. Relations Adviser, African Union Commission. He won the prizes for Best Use of Advocacy and Excellence in Public Service at the 2009 and 2011 editions of The Future Awards Africa respectively. Called the King of Nigerian comedy, Basketmouth is in a class all by himself in Nigeria’s comedy world. Happily married, Basketmouth continues to blaze trails for himself at home and abroad with tales that crack the ribs… and he isn’t stopping anytime soon. One of the former members of the music group Kush. Currently Emem runs One Management- creative talent representation and production company. Although Kush remains on hiatus, Emem continues to work behind the scenes on many big entertainment projects. He is a climate change scientist. At the Federal University of Technology, he is a researcher. Mayokun was a Google Student Ambassador at Google. He was also a Climate Change Innovation Grabtee at African Technology Policy Study Network (ATPS). He has described himself as “a fun, simple, adventurous, kind and highly creative person who puts others first before me and always looking for ways to make a difference and stand out”. Yangs is currently the Managing Director of a new age multi-level advertising agency based in Lagos, Nigeria (Ashwell&White). When he won the African Big Brother Award in 2003, he cemented his place in the spotlight and in the consciousness of an ever growing fan base. But Uti is not just another cute face, he is a TV personality, an actor, entrepreneur and has been featured in several music videos. Igwe is a popular Public Relations expert who continues to blaze the trail in the field of media and publishing. He is the co-founder of one of Nigeria’s top entertainment and lifestyle website, 360Nobs. Fashion savvy Igwe cut has worked with Virgin Nigeria as the Events and Sponsorship co-ordinator. He is a graduate of Urban & Regional Planning from University of Nigeria, Nsukka with Certificate in Entrepreneurship Management from the prestigious Pan Africa University. These young, talented, business savvy individuals co-founded Jobberman – currently Nigeria’s biggest online job search company. Jobberman is innovative and speaks well of the principles and uncommon drive of its co-founders. He is a popular Nigerian comedian and on-air TV personality. Teju Babayface is as popular as he is hilarious and his shows are always sold out and the place to be. He is a writer/movie producer, a preacher, a brand consultant, business analyst, a philosopher and the curator of Creative Nigeria Project. He is a media personality and happily married. Makanjuola is a Sexual Health and Rights Promoter. He serves as the Programs Director for The Initiative for Equal Rights (TIERs), a human rights organization advocating for human rights in Nigeria. As part of his work, he relates extensively with all Program Associate of TIERs in Lagos, Oyo, and Ogun state to provide program design and planning, leadership skills and management. He is the chief executive officer Arden and Newton Brand Management company and for him, every successful business thrives on branding. He constantly works to improve his company and smaller companies by offering ideas on how they can package and re-package themselves even better. Nigeria. A professional make-up artist by default, Banke was said to have taken fine art lessons from the age of eight and the rest his history.Banke Meshida-Lawal who owns BMPRO, is a multiple award winning make-up artist. Born Andre Henshaw, cool and collected Andre Blaze describes himself as a thinker, speaker, and a writer. Blaze has had several gigs with radio and television outfits including a stint with Nigezie and the Nigeria Got Talent franchise which he hosts. He won the on-air-personality of the year (TV) in 2009 and he has never looked back since then gathering more steam as he develops to new levels in the industry. She is a graduate of Stanford University. Sunmonu started an NGO called Harambe Nigeria which is focused on training young people to explore the rich opportunities in the agriculture sector of the Nigerian economy. Tola currently works with Doreo Partners, an agricultural investment firm where she leads business development and provides advisory services to clients. projects. She has represented Nigeria and Africa at over ten high-level global governance meetings on sustainable development and has served as the African coordinator of the UN Commission on Sustainable Development (UNCSD) Youth and Children Major Group. She is the recipient of the 2010 LEAP Africa Annual Nigerian Youth Leadership Award and is a Dekeyser & Friends Foundation and Commonwealth Youth Climate Fellow. She was nominated in the Best use of Advocacy at the 2012 edition of The Future Awards Africa. One of Nigeria’s leading entertainment journalists for many years, Olatunji parlayed his success into the media into an impressive communication business with clients include Funke Akindele, Mo’Hits, Mercy Johnson and other entertainment frontliners. Akintobi began her career as newscaster producer with Channels Television before she secured a Chevening Scholarship for her Masters in the United Kingdom. Since then, she has worked with HiTV, as newscaster for TV Continental and is presently a producer and presenter with EbonyLife Television. Julie Odia was at the front of the re-invention of the lifestyle magazine in Nigeria, with a career that has included being editor of Complete Fashion and Simply Woman. She founded WOW! Magazine four years ago, and is the publisher and editor-in-chief. Funke Awobokun is a food and hospitality entrepreneur who started out with Cocktails In & Out, a premium drinks and cocktails company based in Abuja and Lagos. She has expanded from that company to owning a franchise called Grills In & Out, and a popular hotel in Lagos. She has consistently set standards in the food and beverage business in the past 7 years. Aladese has written for Farafina, True Love West Africa and other media companies. But she has shone as a scriptwriter, with credits including The Academy and The Station, amongst others. She is presently Head Writer for Mnet’s long-running soap Tinsel and is also an actress winning for Best Supporting Actress this year in Confusion Na Wa. Olateru-Olagbegi is seen as a pioneer in the radio industry – beginning with Dan Foster on Cool FM and capturing the hearts of Lagosians. She has moved on to Beat FM where she has quickly established the station as a leader in the state, and is presently the Director of Programmes with Naija FM. She is also a television presenter and events host. Gbemi is a pioneer??? Do you guys even know what pioneer means? Half of the people on this list do not come close to matching up with that problem solving innovation ( @Gidi_Traffic). yet they get mentioned and giditraffic dosen’t?? i guess Nigeria will always be Nigeria. giving merit and credit to those who clearly dont deserve it and sidelining people who merit it. Which way Naija!?? WHY IS GIDITRAFFIC NOT ON THIS LIST? I THOUGHT SHE WON Best Use Of New Media?? ?